I love this view, especially when I'm drunk. The very few times I flew sober, I was a hot mess. 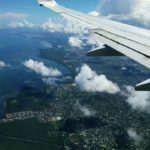 Every creak of the airplane and every hint of turbulence made my skin crawl. It was nothing short of panic. Enter alcohol ???? 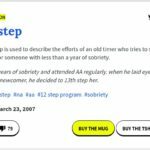 Flying … [Read more...] about 44 Days Sober – How to travel sober? I hate bullies. Especially when they hurt me and my family. Today, I'm connecting the dots and calling out alcohol for being a bully in my life. Reading about bullying reminded me of life before sobriety. 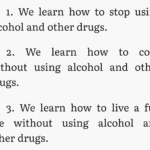 Some signs that may point to … [Read more...] about 43 Days Sober – Addiction is a bully. Recovery is fighting back. That's me and my latest fling. I'm fairly certain she's not going to crash my recovery. Anyway, I'm new here... 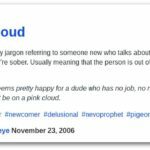 I'm still catching up on the lingo in the recovery community. Here's the latest phrase that had me confused. 13th stepping At … [Read more...] about What is 13th stepping?